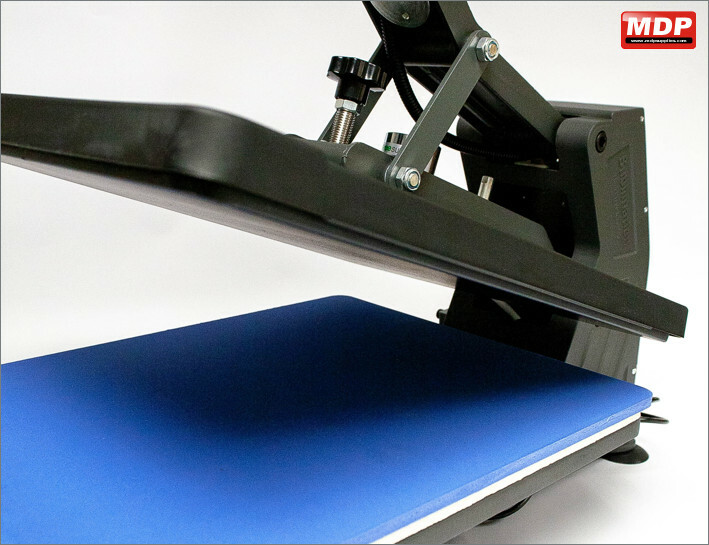 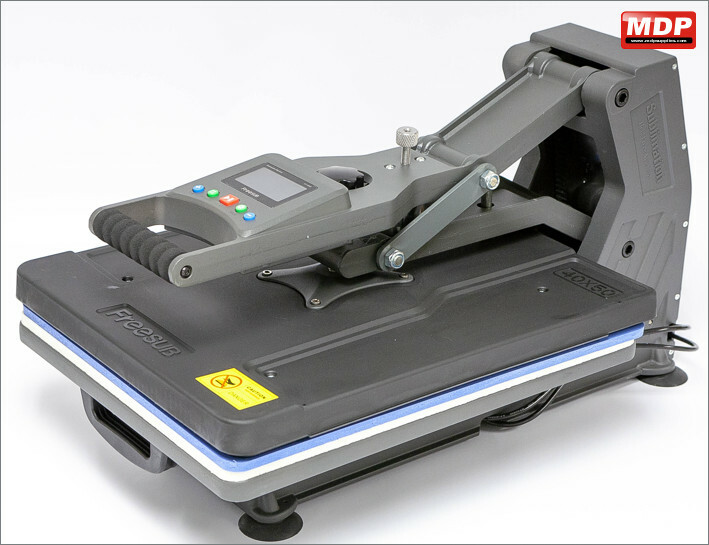 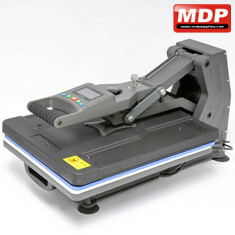 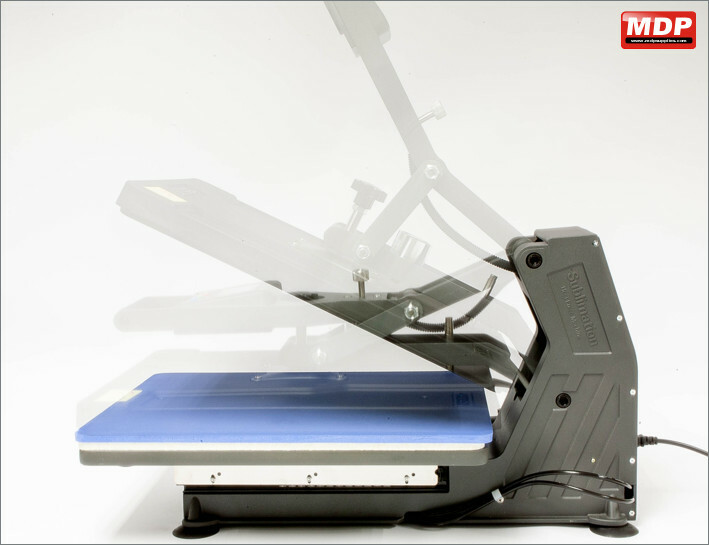 An auto opening heat press with a 40x50cm (15.75" x 19.6") platen. 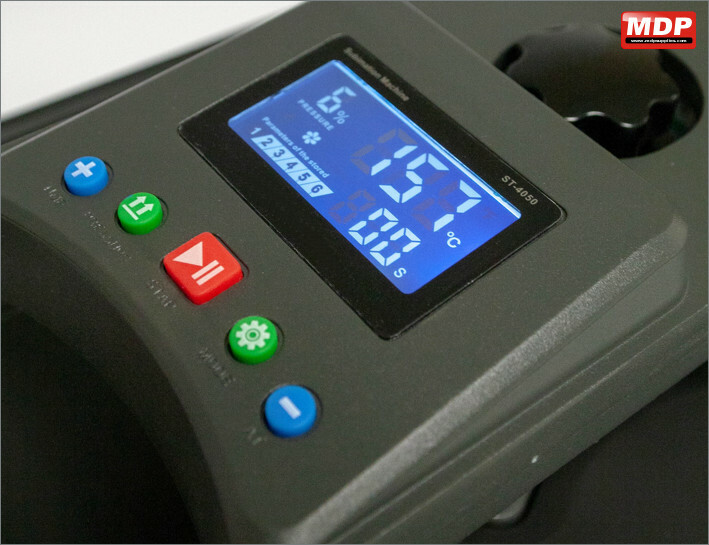 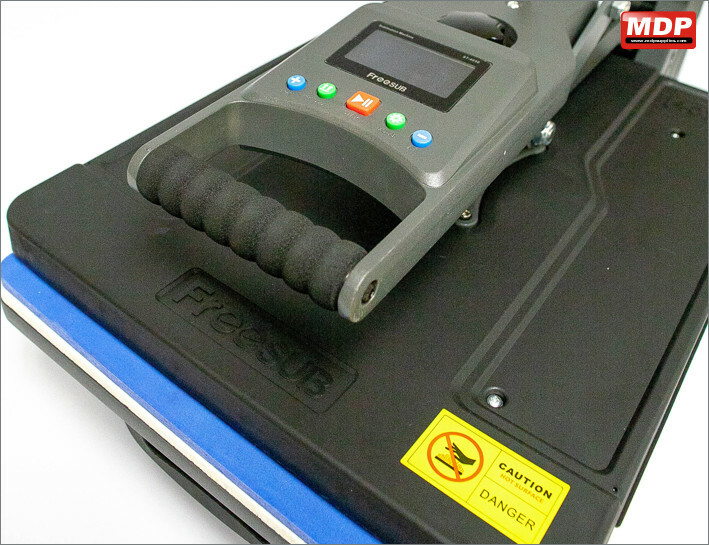 The press feature a digital timer, pressure and temperature displays and has 6 programmable pre-sets for ease. 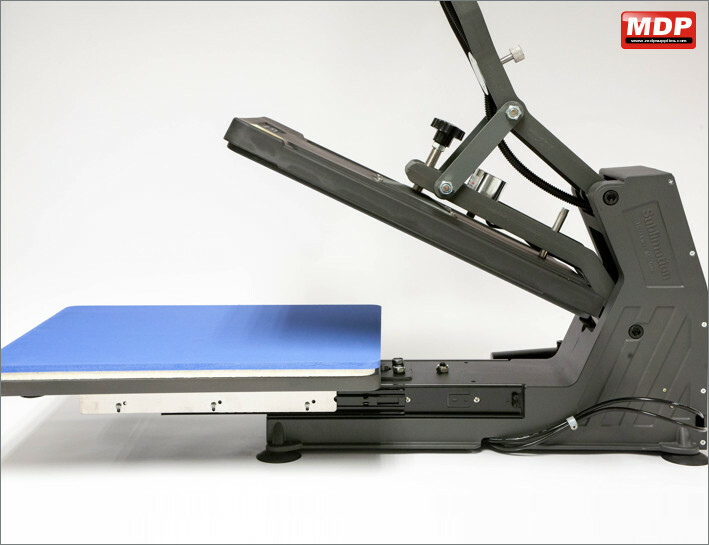 The upper platen mechanism is designed so that the platen can be locked down to press with minimal effort, even when using higher pressure settings.